Yossi Ehrman and Mordy Getz had a family member who needed a bone marrow transplant. Ehrman was responsible for enrolling 17,000 donors in two months time, and organized a drive in Williamsburg, NY that tested 5,000 donors! To date this drive is the largest one day drive in Matnas Chaim history! 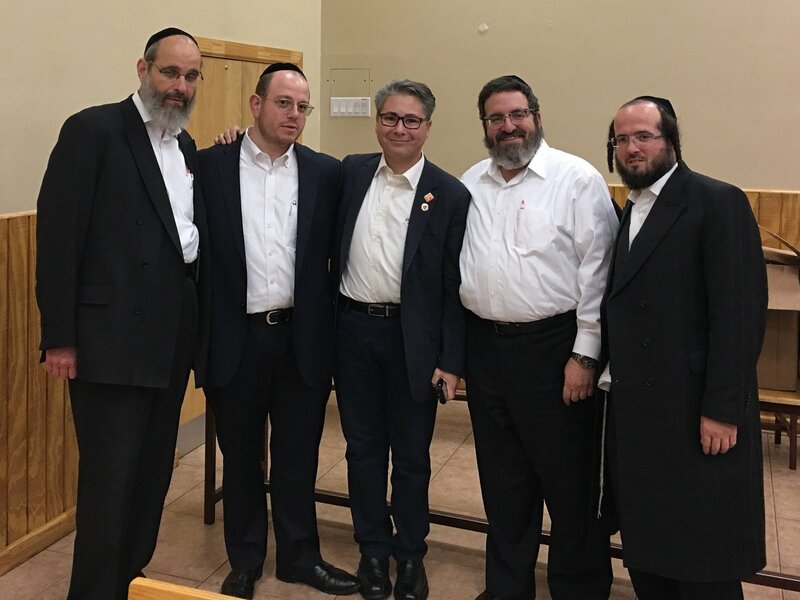 Eliezer Zupnick’s brother-in-law saved the life of a woman with acute leukemia and since that time, Zupnick has devoted himself to giving the gift of life to countless patients in need. Meyer Weill became involved when his brother Shlomo, of blessed memory, was diagnosed with leukemia and needed a donor for a transplant. His family's efforts added over 17,000 to the Matnas Chaim Marrow Registry, perpetuating his brother's memory for decades to come. Jay Feinberg is a 22 year transplant survivor whose family organized a groundbreaking campaign in the early 1990s to find a match. The Feinberg family founded Matnas Chaim and has given hope to over 3,100 patients all over the world.